Do you want to learn more about real estate investment in Charleston? We are here to help! In our latest post, we discuss easy ways to buy and sell investment property in Charleston. Many people want to invest in Charleston real estate, but they find themselves holding back because they are intimidated by the process. Buying and selling Charleston real estate doesn’t have to be difficult. D Gilpin Properties can help you with assistance and advice whether you are looking to buy or sell investment properties! Here are a few of our best tips! When you are connected to the right people, you will be able to get the inside scoop on properties hitting the market. Having the edge over the competition and getting your offer in first can be critical. 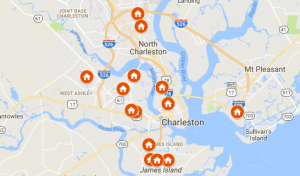 Networking and working with companies like D Gilpin Properties will help you find the best Charleston investment properties and help you when its time to sell!